All other Gods are illusory, unreal; the Guru alone is the God Eternal. Once you repose your faith in him, he will help you over even the pre-destined. Worms and ants, pigs and dogs, birds and even human beings, all great and small, kings or paupers - he looked upon them all equally. Sometimes he treated people with great affection; sometimes he charged at them, stone in hand. There was a volley of curses and abuses, on occasions, as there was an embrace of blissful joy on other occasions. On his lips were the words "Allah Malik". It was then that Ramdas took birth. With the help of Shivaji Maharaj he protected the Kingdom, the Brahmins and the sacred cow from the Muslims. "Even when someone harms you, you should not retaliate; but do him a good turn, instead, whenever possible. " 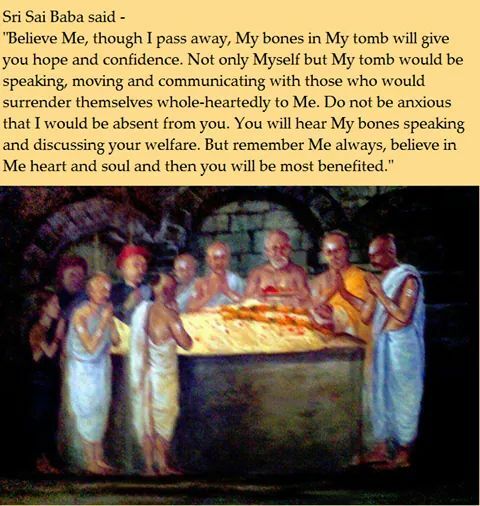 This was the essence of Baba's teaching. 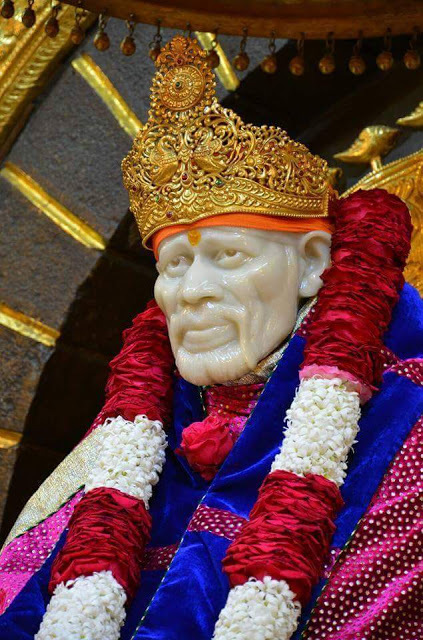 Chapter - 10 Shri Sai Satcharita.